Acadia National Park on Maine's Mount Desert Island is covered with a spectacular hardwood forest and its rugged coast line is filled with wildlife. 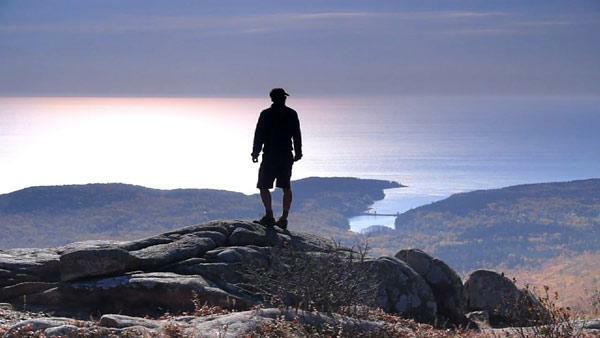 Greg visits a popular destination above Acadia National Park on the summit of Cadillac Mountain then, shows you how to escape the crowds by hiking one of the many trails below the mountain and into the dense hardwood forests painted in fall colors. Greg leaves the secluded hikes in Acadia's dense forests to explore the rugged shores of coastal Maine. Then it's time to take in the charm and history of Bar Harbor, a small fishing village big on beauty. A strong storm changes the way Greg discovers Acadia National Park and adds a whole new dimension to Mount Desert Island's amazing coastal beauty. The Harborside Resort & Spa is centrally located in the quaint coastal town of Bar Harbor and close to everything Acadia National Park has to offer.